I'd been looking forward to shooting the Sanner's Lake IDA match this past Saturday. This is always a fun match, and for a first time in a while it wasn't supposed to be raining during the match! However, Mother Nature did have an extreme wind event in store for us. Through the evening and into the wee morning hours Friday, I listened to the wind howl, and waited for the inevitable power failure. Sure enough, around 4:30 AM the power went out. Later in the morning, I cranked up the generator. 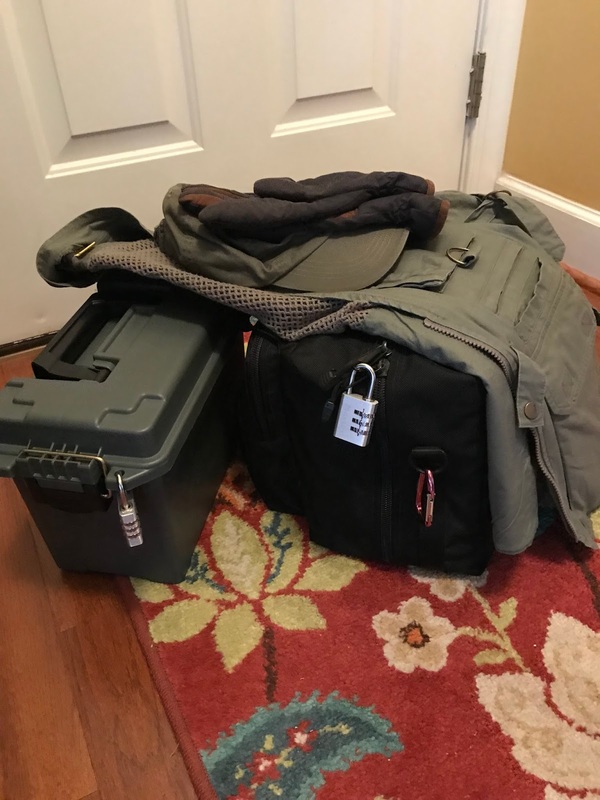 Still optimistic Friday evening, I packed my range gear for the match. Surely power would be restored soon. Throughout the night I waited. And waited. By the time I would have needed to leave for the match, we still had no power. 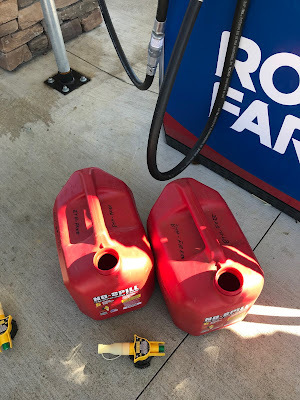 And I had a generator in need of fuel. So my shooting plans were scrapped in favor of runs to the gas station. This was the gear I would haul around on Saturday. At least the beer would stay cold.